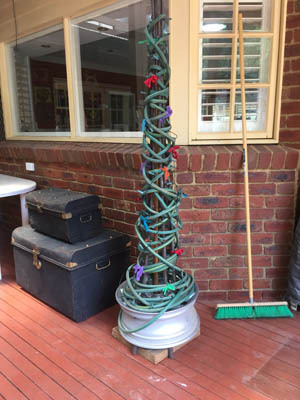 No, not the pre-Christmas craziness, as that’s only just starting. It’s Spring that is the culprit. Whenever I have a spare day on a weekend I end up weeding for a few hours, after which I want to rest. The result: very little craft happening. However, I have managed to fit in a bit here and there. 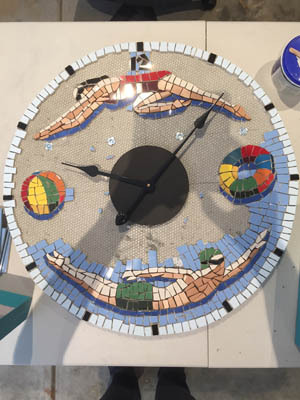 I’ve made progress on the mosaic clock. And I’m thinking of making salt dough decorations, so they can be tossed in the compost heap after the event. This entry was posted in life & everything else by chocolatetrudi. Bookmark the permalink.